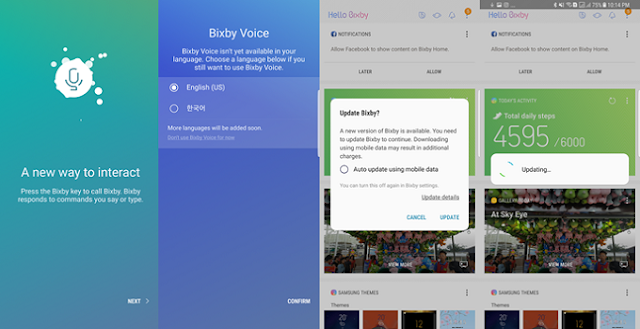 Hey Samsung S8/S8+ user, here's how to install the Bixby Voice Update. 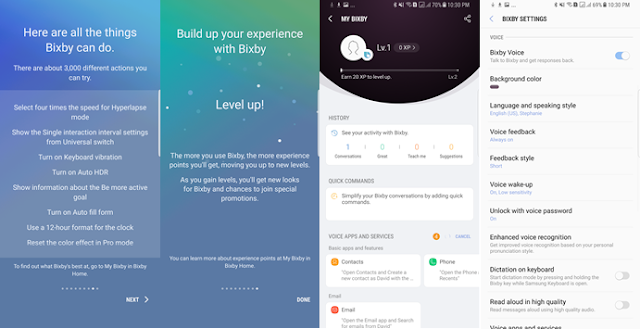 Bixby, the native virtual assistant of Samsung flagship smartphones, is now available in the Philippines via an over-the-air update. It debuted together with the Galaxy S8 duo last April but was supported in two countries - the United States and Samsung’s home country, South Korea. Step 1. From your homescreen swipe left to access Bixby Home. Step 2. You will be prompted with an installation interface, tap Next. From left to right: Steps 2, 3, 4 and 5. Step 3: Choose your language, tick either English (US) or Korean. Step 4: Update Bixby screen will prompt, tap Update. Step 5: Wait for Bixby to be fully updated. Alternately you can also do this: Press Bixby Button>Tap Three Dots Icon (Upper Right)>Settings>Update. 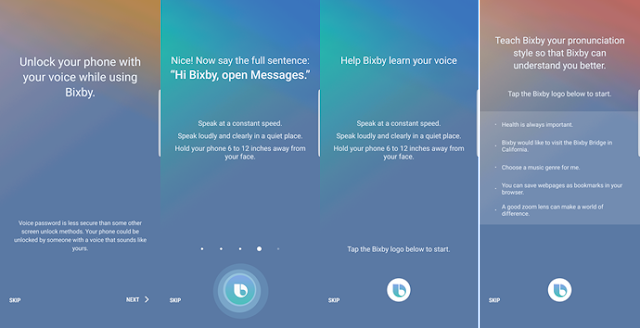 After the whole process, you will be directed to the set-up interface wherein Bixby will ask for voice information and voice password to provide addional layer of protection to your device. Bixby works with context awareness, and cognitive tolerance. It learns the behavior of every user over time making it even more powerful in consequent usage. It also supports wide range of applications and pair it to several actions to perform varied tasks. Personally, I had fun setting up Bixby Voice. The Bixby Home is a whole new interface to play with, and it’s also a good thing that Samsung “gamified” Bixby. You will earn points and experience the more you use Bixby. It also comes with its own settings to customize background, voice gender and more. Download now and tell us what you think about the Bixby update.